The shares of the companies of Russian gas pipelines Nord Stream and Nord Stream 2 were frozen after the decision of the Stockholm Arbitrage in favor of Naftogaz Ukraine in a dispute with the Russian Gazprom. This was reported by Interfax with reference to a source in the industry. There is no official confirmation of the arrest of shares of the project companies. The press service of Gazprom has so far told that they are investigating this issue. As it was reported earlier, Russia's energy monopolist Gazprom refused to abide by the decision of Stockholm arbitrary court. 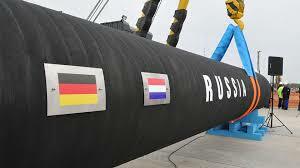 Gazprom's delegation offered the Ukrainian side to either submit amendments to the gas deal or to break it. Naftogaz considers such actions a violation and disrespect for the decision made by Stockholm arbitrary court. Naftogaz refuses to accept Gazprom's offers. The Russian company's denial to obey the decision of the international arbitrary questions Gazprom's reliability as European gas industry's partner', the message said, quoting Naftogaz's Chief Commercial Officer Yuriy Vitrenko. Two arbitrary disputes between Gazprom and Naftogaz at the Arbitration Institute lasted for over three years: the dispute on the gas debt – from June 2014 to December 2017, on the transit agreement – from October 2014 to February 2018. There are less than two years left until both agreements terminate (at the end of 2019). The Arbitration Institute of the Stockholm Chamber of Commerce has granted the lawsuit of Naftogaz as to compensation for the volumes of transit gas that had not been delivered by Gazprom on February 28. According to the decision of the court, Naftogaz got a $4,63 billion compensation for the transit gas that had been agreed on, but not delivered by Gazprom.